Book Summary: o you want to be a Jedi? It seems cool. You can move things with your mind. Control people with your thoughts. Oh, and the lightsabers. Yeah, those are awesome. But it's not all mind control and weaponized flashlights. Being a Jedi is hard work. Also, there are bad guys. Lots of bad guys. Who want to kill you. Do you still want to be a Jedi? Well, this book tells the tale of one of the greatest Jedi ever. 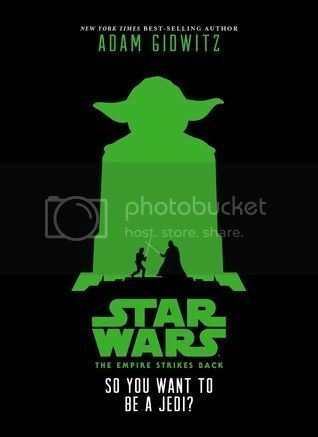 It's also a retelling of the classic film The Empire Strikes Back. But it is more than that. It also teaches you how to become a Jedi. Maybe you don't need to learn how to levitate or sense your surroundings blindfolded. And maybe you don't want to hear a story about lightsabers and murderous snow creatures and spaceships. But maybe you do want to hear such a story. And maybe, just maybe, you do want to learn how to be a Jedi. Well, in that case, this is the book for you. The choice, my young friend, is in your hands. Literally. I have never been found of the whole "second person point of view" and then change to "third person point of view". Seriously please pick one and be done with it. I had seen enough of these type of books during my childhood in those "pick your own adventure" series. I even thought "Okay, so we are going this way too?" Fortunately we did not and I was able to relax a bit. You are Luke Skywalker and you want to be a Jedi. The narrative in some parts gives you a bit of advice on how to handle yourself on how to act like a Jedi. And of course, there are no "mushy scenes" because you know boys are probably going to read these books and they don't want that seen in there. So far this was one book I cared little for. I had to put it down for a bit and do things before I tackled this book again. Fortunately I was able to finish it and prepare myself for the next book in this trilogy. As for this one, I leave the decision up to those who wish to read it and form their own opinion upon the book themselves. As for me, this one will remain on my shelf and perhaps collect dust until my nephew is a bit old enough to try other books to read.